Looking for an incredible shopping experience that comes alongside an amazing cultural adventure? Head out for a trip to Bournemouth for your next vacation. Bournemouth offers those with an eye for style an incredible and unique shopping experience, combining amazing boutique businesses, to large chain stores, and family-owned shops. If you’re hoping to find something completely different to whatever you have back home, you shouldn’t walk away feeling disappointed at Bournemouth. Open all year around, you’ll find the best gadgets, the latest styles, and the most impressive gifts around for your loved ones back home. 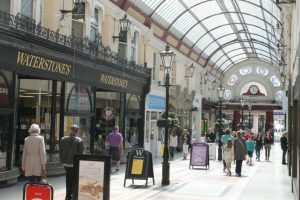 The main shopping areas for Bournemouth visitors are The Triangle, Commercial Road, The Square, and Old Christchurch Road. At The Triangle, you’ll find a range of wonderful cafes, bars and restaurants to sit back and relax in after a tough day of shopping. From clubs where you can dance the night away, to sophisticated places to stop for a bite to eat – there’s something for everyone. Within the Town Centre, there are countless places to shop. If you’re looking for Fashion, we recommend checking out Alfa Menswear and Margery Daw. On the other hand, if you want something to take home and spruce up your living space, pop into Scape, or check out the antiques at Molly’s Den. For plenty of incredible gifts, head to Sugar Mango, or stock up on scents at The Candle box. 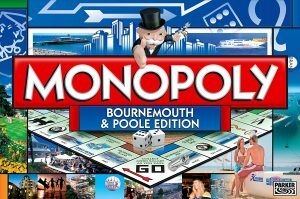 If you’ve got money to spend, then Bournemouth is the place to do it. Beyond the Town Centre, you’ll find a number of incredible shopping areas that offer independent and individual shopping solutions, as well as unique places to eat while you’re there. Not your average shopping centre, Bournemouth offers something special for those in search of memorable mementos, amazing souvenirs, and ways to spruce up their wardrobe. If you’re visiting Bournemouth for its shopping prowess, we recommend that you’re careful to keep plenty of extra room free in your suitcase! The last thing you want is to be struggling to carry dozens of shopping bags with you on the way home!